water features vancouver from WaterfallNow on Vimeo. 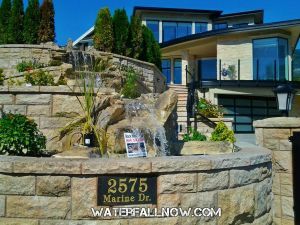 WaterfallNow contacted the custom home builders at this location to see if we could add a rock waterfall to the entrance. The results are in. Everyone loves it. 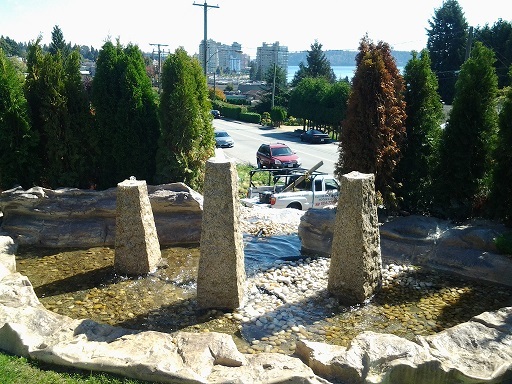 The flow of this water feature begins at the top where 3 rock column bubblers are placed side by side. The water makes its way down and is recirculated back up to the top by the use of a pump. More rocks and lighting fixtures are expected to be added to the pond areas. 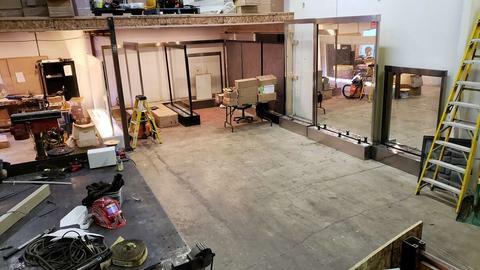 Because WaterfallNow’s rocks are so versatile, should the client ever desire changes, we can literally arrive and make any necessary changes in a day. These don’t have to be permanent fixtures. If you want to add onto the existing rock a little more each year simply give WaterfallNow a call and they will do just that. Want to try out a different color? Simply request a touch up paint job. No matter what you have in mind trust WaterfallNow to exceed your expectations.